The U.S. oil processor is paying a 22 pct premium for rival Western Refining. Promised synergies should cover that and then some. Paying mainly in shares avoids straining the balance sheet and gives Western owners extra upside. It’s a wise way to weather the industry downturn. 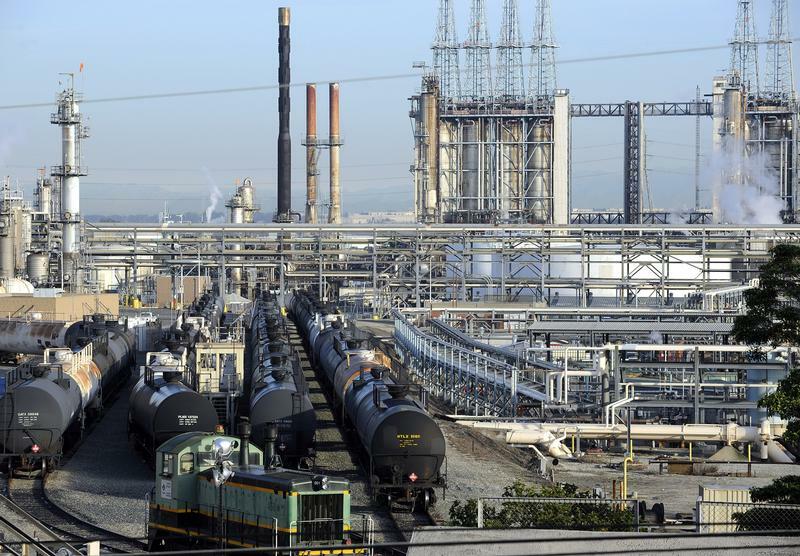 A general view of the Tesoro refinery in Carson, California February 2, 2015. REUTERS/Bob Riha, Jr.
U.S. oil refiner Tesoro on Nov. 17 said it had agreed to buy rival crude processor Western Refining for $6.4 billion, including debt. The deal values Western Refining at $37.30 a share, a 22 percent premium to its closing price on Nov. 16. The companies said they expect the deal to generate between $350 million and $425 million of annual synergies within two years of closing. Goldman Sachs is advising Tesoro and Barclays is advising Western Refining.